Your Wedding Day is one of the most important days of your life, and your reception plays an important part in making it memorable for you, your family and friends. 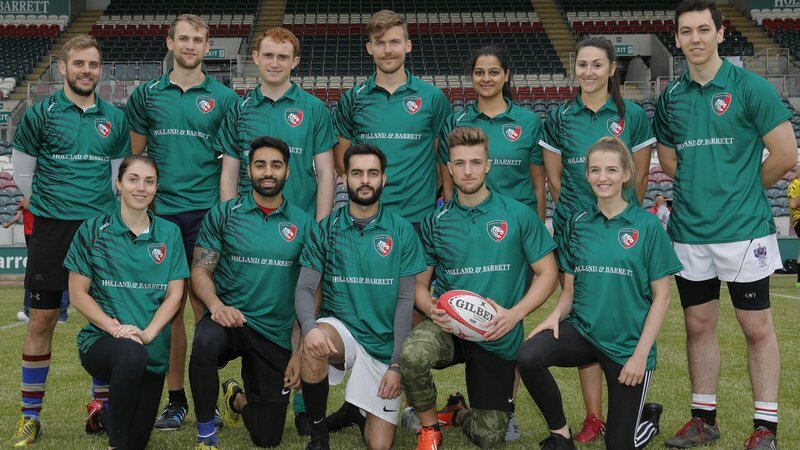 If you’re looking for an unforgettable location for your wedding reception our dedicated wedding coordinators would be delighted to discuss your needs and offer you a show round the Welford Road Stadium, the home of the Leicester Tigers. We understand the time, thought and planning that goes into this very special day so from your initial enquiry to the day itself, our experienced wedding co-ordinators and management team will work with you every step of the way, to ensure that your Wedding day is individually designed and exclusive to you. Whether you are having a small, intimate gathering or a large reception with family and friends we have a variety of suites to suit your needs. We can also create bespoke menus and help with recommending entertainment, photographers and decorations from florists to the wedding cake makers. All of our suites have licensed bars, air conditioning and natural daylight. We can also offer free parking for your wedding guests as well as recommendations and special rates at local hotels in Leicester city centre. We would be delighted to discuss your plans and show you around Welford Road Stadium, the home of the Leicester Tigers. For further information or to make a booking contact us on 0116 217 1280 or or fill out the enquiry form below.